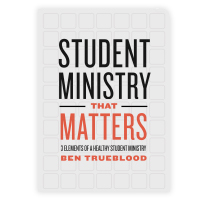 For many years, one method of student ministry has been to compile a list of outcomes that should be present in a teenager’s life when they graduate high school and then work backwards organizing the student ministry to achieve those outcomes. Organizing this way gives you, other leaders, and your senior pastor clear markers that can be measured along the way. For example: a junior in high school, if they’ve been active in the student ministry for the last few years, should be exhibiting X outcomes in their life. When done correctly, this approach can also be an effective tool for parents to see the importance of student ministry in the life of their teenager, as well as a game plan to help them as they seek to spiritually nurture their student. Generally, it isn’t a bad way to look at the overall strategy or approach of a student ministry, but it isn’t discipleship. This approach makes one major assumption: every teenager is the same. It turns student ministry into a conveyor belt that says if we do X then the result in a teenager’s life will be Y. 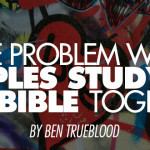 It sounds great, but discipleship doesn’t work that way because each student is different. They have different home lives, thoughts, struggles, gifts, and personalities, which lead to discipleship being much more of a personal endeavor than one-size-fits-all. Discipleship is meant to take place within a relational context where God’s Word can be read, memorized, discussed and applied in real-time to the issues a teenager is walking through. The conveyor belt approach doesn’t leave room for the needed individualization that true discipleship requires, and it isn’t working. At the same time, we see that the number of adult spiritual mentors a teenager has in their life during their high school years has a profoundly positive impact on them staying connected to the church. 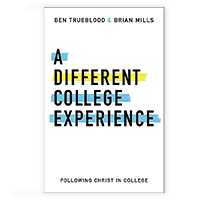 Statistically, when a high school student has three or more adult spiritual mentors from the church investing in their life, they are three times more likely to stay connected to the church in their college years. Why is a spiritual mentoring relationship so important? 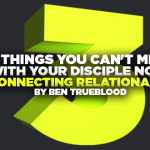 Because, once again, it is the natural avenue for discipleship. 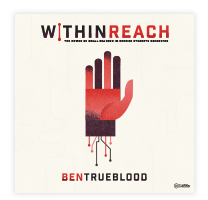 The adult gets to know the personal context of the teenager through this kind of relationship to the point that they are able to connect the dots of what the teenager is walking through with scripture. The result is that the teenager begins to see and experience the transformational power of God’s word; that it really does speak to the real issues of everyday life. Furthermore, when a teenager has several of these spiritual mentors throughout their time in student ministry they get to peer through the window of how an adult applies God’s word to their own life. They get to see the individual struggles of each adult and discover different perspectives on how to follow Jesus because each of those adults has their own personal context as well. Through these kinds of relationships the teenager gets to live more spiritual lives than their own learning along the way and storing up spiritual wisdom for later in life. Continue to build a strategy for your student ministry with clear outcomes and measurable markers along the way, making sure to create as many opportunities as possible for spiritual mentoring relationships to take root. Make time in your schedule to train and develop the adult leaders in your ministry to be able to take on a spiritual mentoring role. Few leaders will take the step beyond small group leader to become a spiritual mentor without being nudged in that direction. Spiritual mentors can be small group leaders, but not all small group leaders are intentional spiritual mentors. As the student pastor, it is your responsibility to cast vision for them on what this looks like, and to train them how to do it. Because discipleship is personalized, your investment in your leaders should be the same. The good news is that in a world where minutes can be easily stolen by so many responsibilities, every minute spent training and investing in leaders will never be wasted.